Whether you work on a construction site or in a traditional office setting, safety at work impacts every worker in one way or another. For employers, safety can affect everything from workers’ compensation costs to productivity. For employees, it impacts work environment, health, and morale. Refresh Leadership and Express Employment Professionals takes the safety of our Associates and clients very seriously. 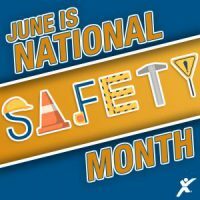 Throughout the month of June, we will share informational posters to help start conversations about important safety topics and how to avoid potentially dangerous workplace situations. 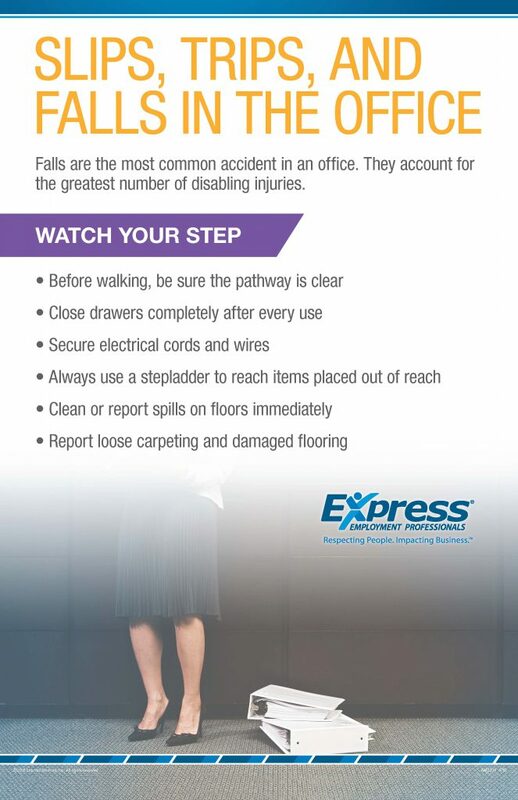 This week’s poster focuses on slips, trips, and falls in the office.